The Optus 12s Teams Championships continued on Wednesday with the best girls' and boys' 12/U players continuing to battle it out for the honour of claiming the Margaret Court and Rod Laver Cups. 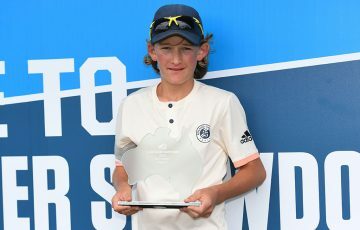 The Optus 12s Teams Championships continued on Wednesday with the best girls’ and boys’ 12/U players continuing to battle it out for the honour of claiming the Margaret Court and Rod Laver Cups. 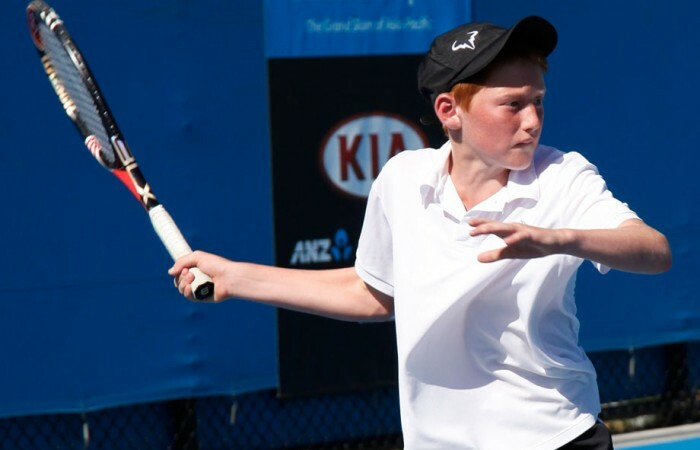 The boys’ 12/U competition saw New Zealand, Western Australia and Queensland clinch singles victories over the Victoria B, Northern Territory and Victorian teams respectively. 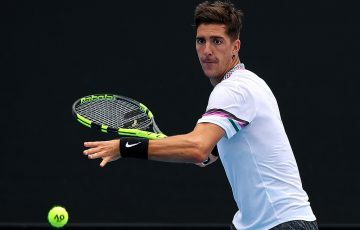 New Zealand’s Macsen Sisam hit off in the morning on court eight, exhibiting long, sweeping ground strokes and impressive forehand winners that proved too good for Joshua Spaull to return, leading to a 6-1 6-3 triumph. Teammate Finn Reynolds continued the Kiwis’ winning streak, claiming his match 6-1 6-3 against Ken Cavrak. 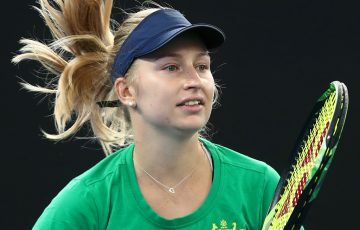 Despite a fiery forehand posed by Michael Shepheard, the Northen Territory’s Tristan Schoolkate admirably managed to retaliate, forcing the score to read 6-0 6-1 and Daniel Downey proved too strong for Joel Van Haaren. Alexander Crnokrak displayed some exceptionally precise angled shots to secure a 6-1 6-2 victory over Greg Polmans and Sweeny seized success for Queensland once again. The results for the Girls’ 12/U competition were similarly consistent across the board. 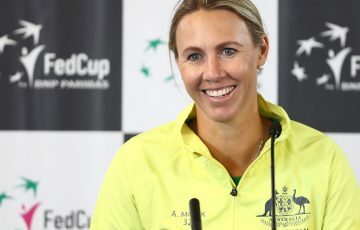 The South Australian, Tasmanian, Queensland and New Zealand teams claimed singles victories for the day over Western Australia, the ACT and the Northern Territory respectively. 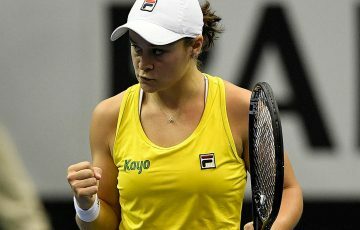 Tasmania’s Sanyukta Singh clinched her singles in straight sets 6-0 6-0 and Jessica Fowler won comfortably with a score of 6-3 6-2. 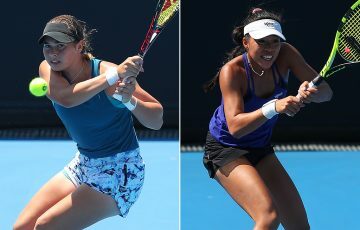 Queensland’s Daniela Kovacevic and Kyra Yap triumphed over their Victorian opponents, Victoria’s Jasmin Starr challenging Yap to play three sets. 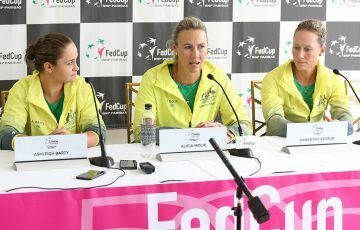 Both South Australia and New Zealand displayed astounding dominance in their singles matches, reflecting their corresponding positions as first and second seeds. Doubles success was found for the Boys’ 12/U by New Zealand, Western Australia and Queensland while South Australia, Tasmania, Queensland and New Zealand 12/U girls’ teams also finished the day on a high. > View results, draws and the order of play.